Cacao is located near the Powder Gate and Municipal House. At our café, our ice cream, cakes and desserts are all made with our original recipes. 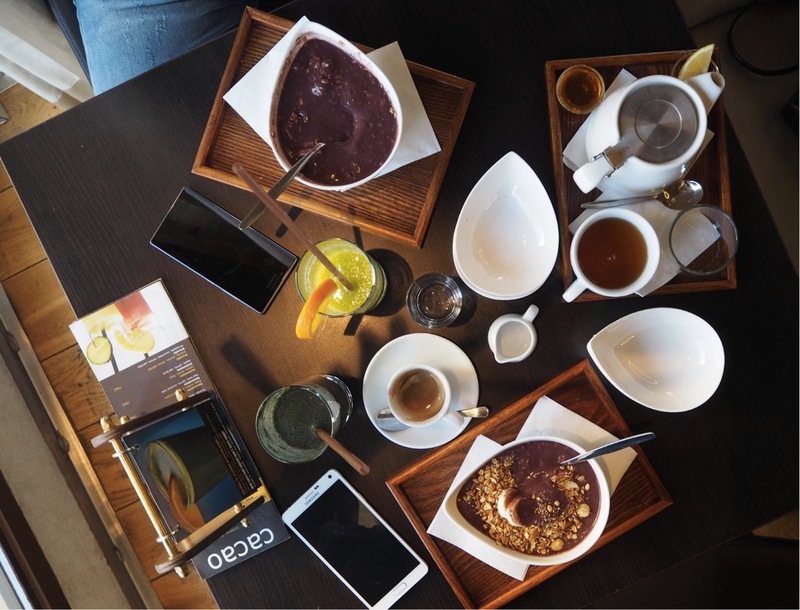 Although Cacao is known for its wide assortment of ice creams and desserts, we also offer a large selection of beverages, such as coffee, leaf teas, freshly prepared juices, and cocktails. We offer both hot and cold dishes starting with our large breakfast menu, and also a many lunch options such as fresh salads and toasty baguettes. During the weekdays we offer a daily menu made with only the freshest ingredients, without the use of additives or artificial flavors. Cacao is a family friendly establishment and is a great place to take the kids. We have several menu items for children, including a wide selection of healthy yogurts made with fresh fruits, milk, or ice cream. There are also plenty of other tasty juices and fruit products available. Located in the heart of Prague with numerous delicious menu items that suit almost any lifestyle, Cacao has it all! 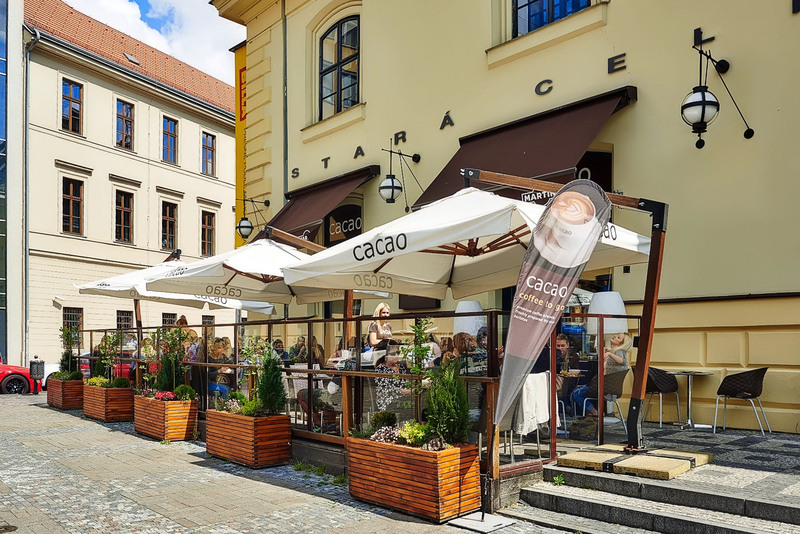 Not only does Cacao have a spacious outdoor terrace with magnificent views of the city of Prague, but also has a great indoor atmosphere. The interior of Cacao includes historical arched ceilings, which underline the minimalistic and modern design of the space. 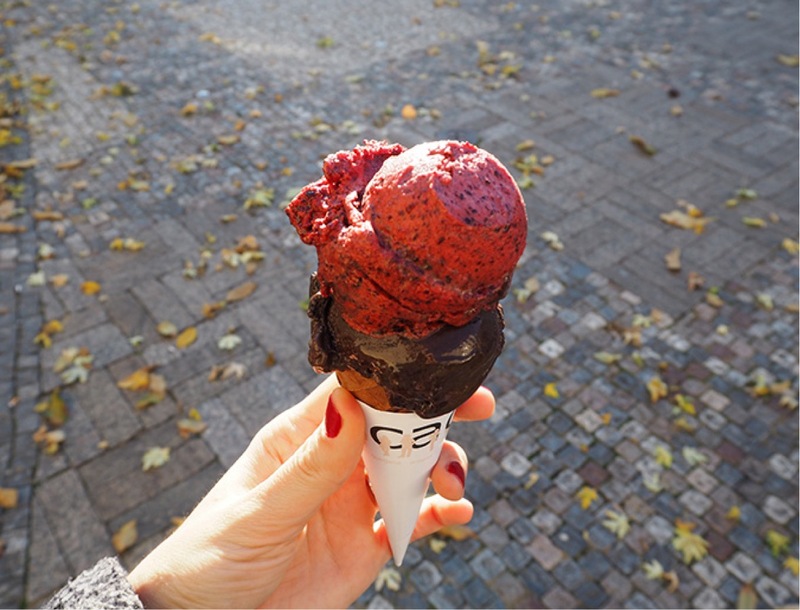 Cacao is an international concept originally from Slovenia, offering premium products in three location across Europe and with many more to come. We are looking forward to your visit!